HRH is honored to support these hospitals that provide exceptional patient care and recognize the importance of HRH’s services. Together, we make a life-long impact on the lives of over 2,000 patients every year. A Hospital Exclusively for Women. For more than three decades, we’ve offered Tampa Bay a very special place designed to serve the unique health care needs of women and babies in a caring, family-centered environment. Through every stage of life, from the childbearing years and beyond, our services focus on the individual needs of each woman. 3030 W Dr Martin Luther King Jr Blvd. 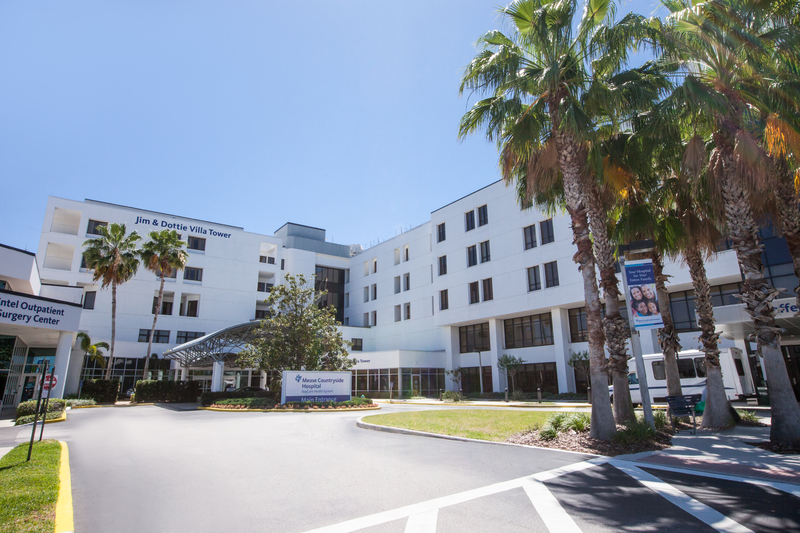 Tampa General Hospital is committed to serving all residents of West Central Florida. We provide comprehensive health services, ranging from wellness and primary care to the most complex specialty care and post-acute services. Our care reflects a patient-centered approach, and our services are delivered in an exceptional manner, with benchmark performance in clinical outcomes, care processes, cost-effectiveness, and patient experience. With our unique blend of academic and other healthcare partners, we play a special role in supporting medical education and research in our region. Sarasota Memorial Healthcare System (SMH) is committed to provide health care services, which excel in Caring, Quality and Innovation. SMH’s community will be served by the best health care system in America. SMH will be the best place to be a patient, the best place to work, and the best place to practice medicine. SMH’s extraordinary people, innovative clinical technology, and effective use of information systems will set SMH apart. For more than 60 years, Hoag Memorial Hospital Presbyterian has stood on the bluffs in Newport Beach, CA, as a beacon of exceptional healthcare. A place where the best and brightest physicians care for their patients with the support of highly skilled nurses and a wide range of dedicated staff. Hoag Hospital Newport Beach is an acute care, nonprofit hospital located on California’s Orange County coastline between Los Angeles and San Diego in Newport Beach, CA. Johns Hopkins All Children’s Hospital in St. Petersburg is a leader in children’s health care, combining a legacy of compassionate care focused solely on children since 1926 with the innovation and experience of one of the world’s leading health care systems. The 259-bed teaching hospital, ranked as a U.S. News & World Report Best Children’s Hospital, stands at the forefront of discovery, leading innovative research to cure and prevent childhood diseases while training the next generation of pediatric experts. With a network of Johns Hopkins All Children’s Outpatient Care centers and collaborative care provided by All Children’s Specialty Physicians at regional hospitals, Johns Hopkins All Children’s brings care closer to home. Johns Hopkins All Children’s Hospital consistently keeps the patient and family at the center of care while continuing to expand its mission in treatment, research, education and advocacy. You’ve read every parenting book and baby-proofed the house. But sometimes, there are things you can’t plan for. That’s when it’s most important to have faith and lean on a specialized team. If your child is born with a complex health issue, we’re here to support you. 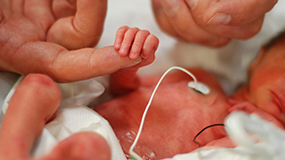 Our hospital’s Level III Neonatal Intensive Care Unit (NICU) is standing by 24/7 to give you access to the experienced board-certified neonatal All Children’s Specialty Physicians and neonatal nurses who are specially trained to care for your incredible child. 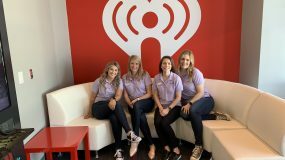 Through our exclusive affiliation with Johns Hopkins All Children’s Hospital, we provide more children in Hillsborough and Pasco counties with expert pediatric care. We specialize in comprehensive children’s wellness, as well as pediatric surgery and intensive care. For older children, the Pediatric Intensive Care Unit (PICU) at AdventHealth Tampa is the only provider of critical-care services for children in northern Hillsborough and eastern Pasco counties. No matter your need, big or small, we’re always on call. Our board-certified OB/GYNs and maternity nurses are always on site, offering some of the most-advanced maternity and prenatal care in Tampa. We have low-intervention births, scheduled C-sections, mobile fetal monitoring so you can get up and move from bed, online pre-registration for faster check-ins, and a state-of-the-art infant security system so mom and baby are always safe. We at AdventHealth Tampa want you to spend more time resting, and less time worrying. We’re on it. Since 1985, Mease Countryside Hospital has been raising the standard of care for patients of all ages. Today, our 300-bed facility offers an unwavering commitment to the community. Our award-winning hospital features several key specialty areas, including women and children’s services, heart, cancer, neurosciences and orthopedics. Mease Countryside Hospital’s family-centered care includes a birth center with the only level Level III Neonatal Intensive Care Unit (NICU) north Pinellas and Pasco counties, providing care for the smallest babies, and our unique partnership with St. Joseph’s Children’s Hospital provides exceptional pediatric care from our emergency room to our pediatric inpatient unit. Additional benefits to delivering at Mease Countryside include the latest in obstetrical technology and the choice of several nontraditional pain management and birthing techniques, such as music therapy and warm water immersion. Our birthing and post-delivery family suites are spacious and private, our birth center offers a variety of prenatal and infant education classes. Mease Countryside has been designated as a “baby-friendly” hospital by the World Health Organization and the United Nations Children’s Fund (UNICEF) for offering the optimal level of care for mothers who choose to breastfeed their newborn infants.